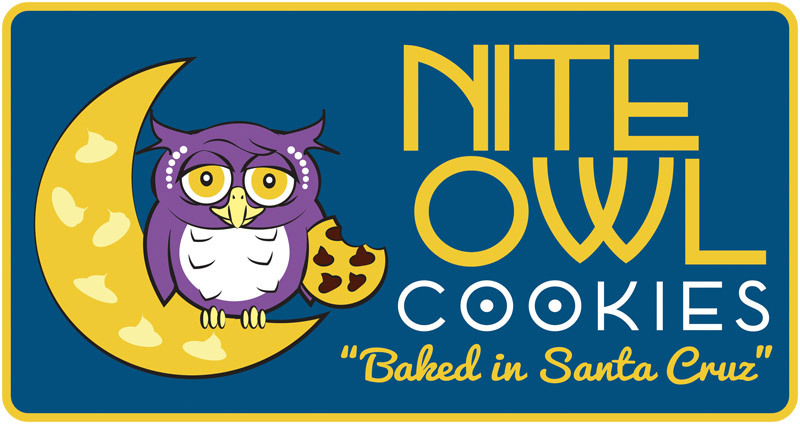 The new owner of Nite Owl Cookies came to me wanting to rebrand this late night homemade cookie delivery company. 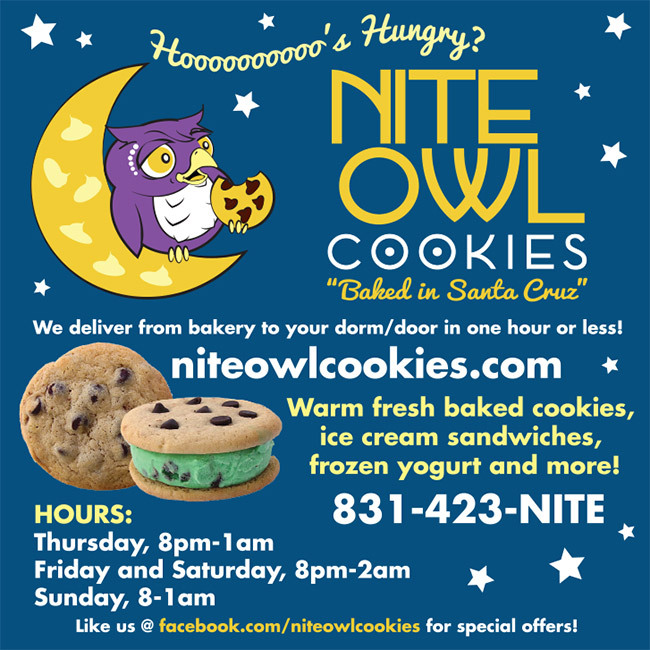 Based in Santa Cruz, she wanted it to appeal to the UCSC students, with a hip, pop, fun appeal. 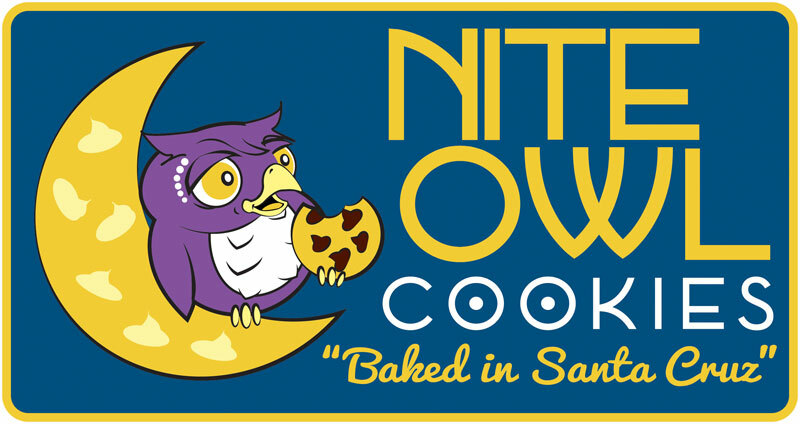 I hand drew the new owl mascot, designed the new logo and branding elements. 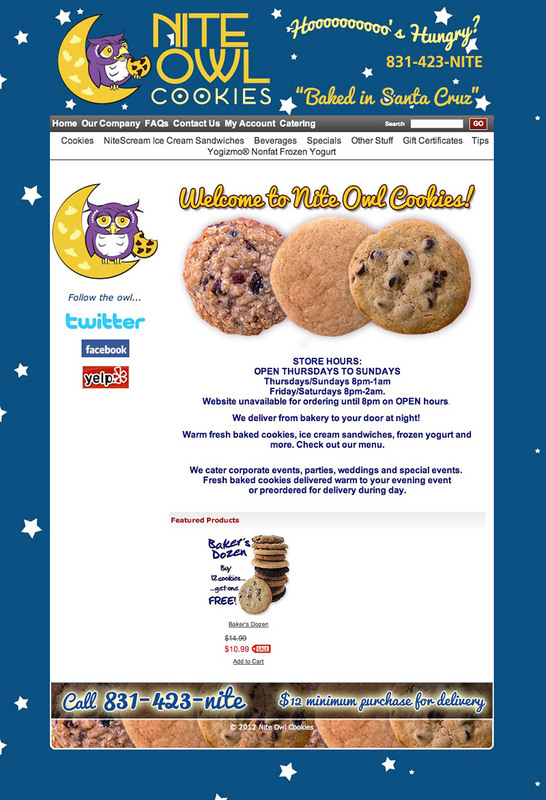 I then reskinned the site, and also rethemed the Facebook page for them.